Exciting things are happening at Get Wet Surf School, and we want to share some important news with you. Amazing customers like you have powered a continued growth over the last 13 years. So making a move to a new and bigger place is necessary. 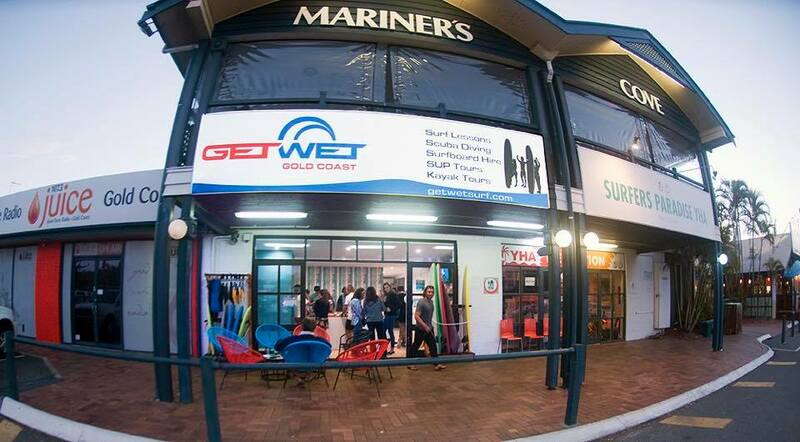 We are thrilled to announce that Beginning September 1st, Get Wet Surf School’s brand new shop will be located right in front of Mariner’s Cove Marina at Main Beach, just a 2-minute drive from the Spit. There is plenty of parking available and easy to reach by bus. We are located in behind the “Mariner’s Cove Bus Stop”. The 704 bus (Helensvale to Seaworld) will conveniently drop you in front of our shop. Forgot your towel, snapped your leggie?? Don’t drive all the way to town, we got you covered with some surfing essentials like fins, leg ropes, wax, beach towels and even sunscreen. So come help us celebrate the big move! Oh yes, our phone number is the same 1800 GET WET. And if you have trouble finding us click here to find our Google Maps location. If you have further questions regarding our new location, drop us a line here or call us at 1800 GET WET and we will be happy to help you.